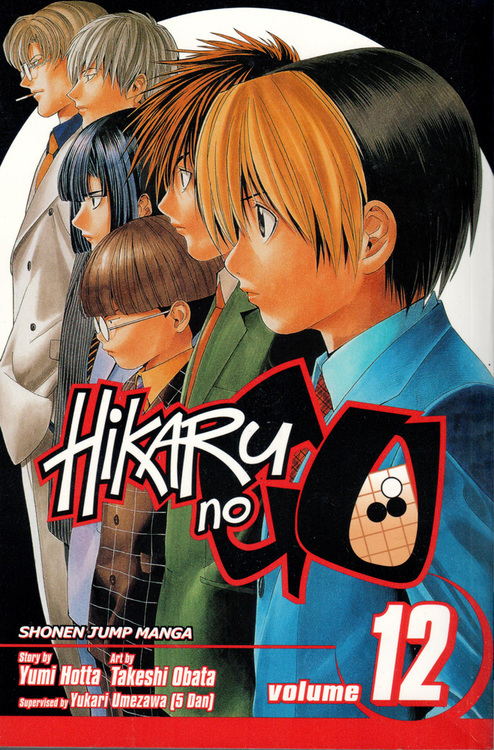 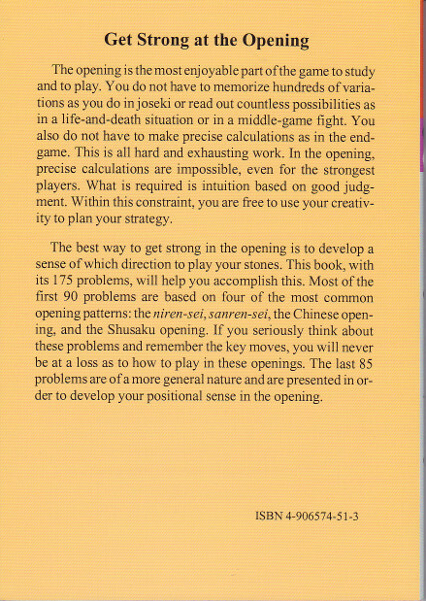 175 problems in the opening (fuseki) ranging in difficulty from easy to difficult. 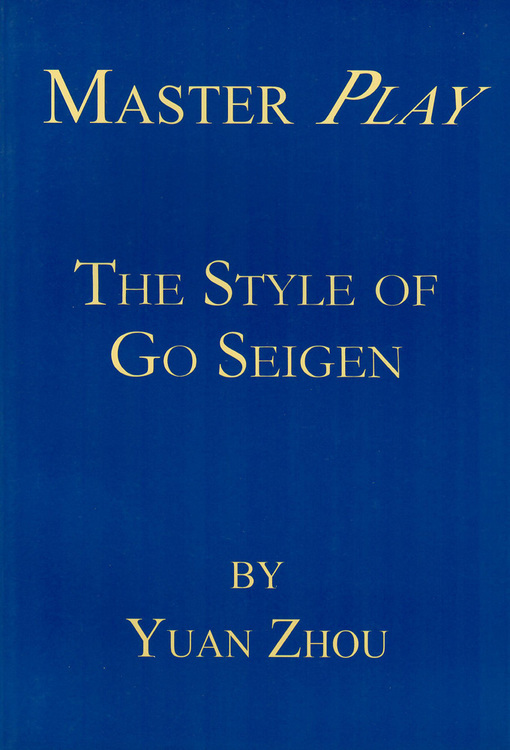 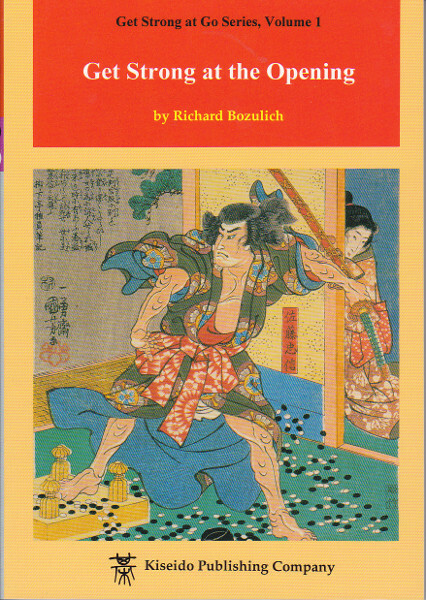 This book is an ideal introduction to the field of fuseki and should be studied by every beginning player. 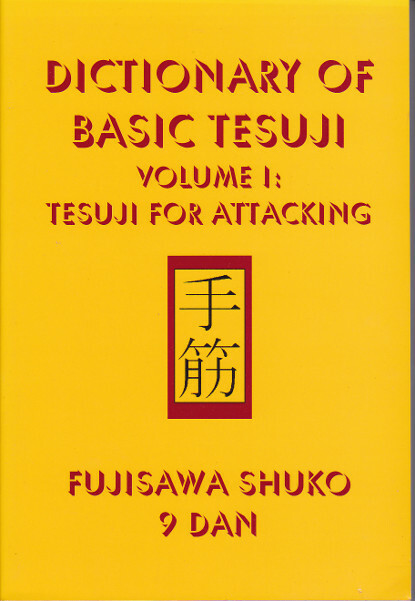 The problems begin with an analysis of the Chinese, niren-sei, sanren-sei, Shusaku, and tatsuki (diagonal) fusekis as well as other important opening strategies. 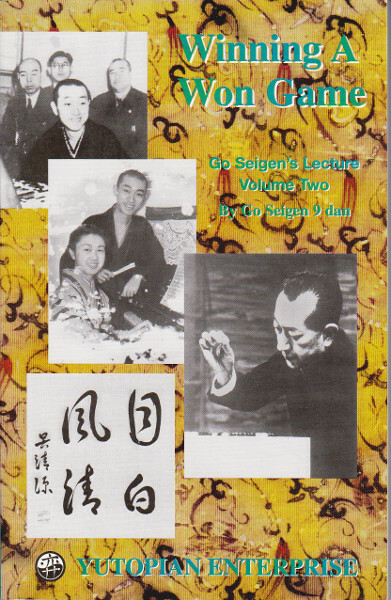 The remainder of the problems are designed to hammer home to the reader the basic principles of the fuseki.